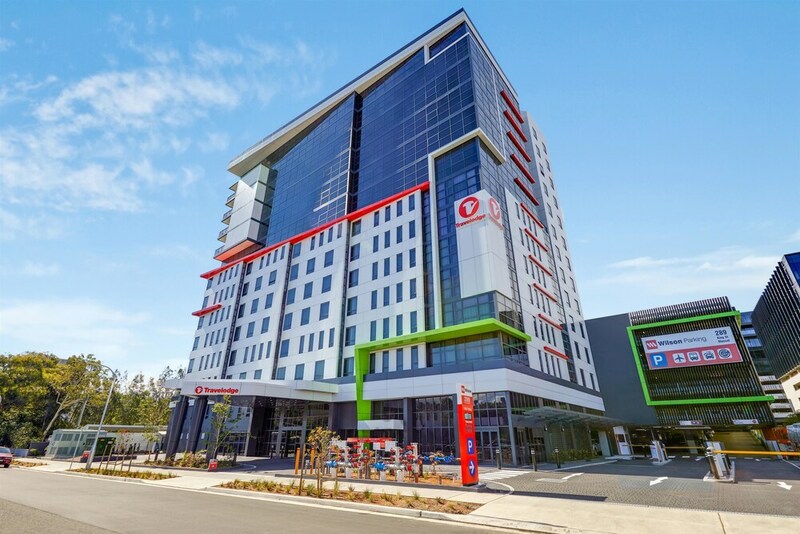 Located in Mascot, Travelodge Hotel Sydney Airport is within a 15-minute drive of Westfield Eastgardens and Moore Park Golf Course. This 4.5-star hotel is 4.7 mi (7.6 km) from Maroubra Beach and 5.6 mi (9.1 km) from Centennial Park. The hotel offers a restaurant. A bar/lounge is on site where guests can unwind with a drink. Public areas are equipped with complimentary wireless Internet access. For a surcharge, a roundtrip airport shuttle during limited hours is offered to guests. This luxury hotel also offers multilingual staff, a garden, and dry cleaning/laundry services. Parking is available onsite for a surcharge. Travelodge Hotel Sydney Airport is a smoke-free property. T's Bistro - This restaurant serves breakfast, lunch, and dinner. Guests can enjoy alfresco dining (weather permitting). A children's menu is available. Open daily. This property offers transfers from the airport (surcharges may apply). Guests must contact the property with arrival details before travel, using the contact information on the booking confirmation. The property has connecting/adjoining rooms, which are subject to availability and can be requested by contacting the property using the number on the booking confirmation. Free in-room WiFi has a 4-device limit. Parking height restrictions apply.